Drones are everywhere in the media today. Amazon is testing drones to deliver packages. 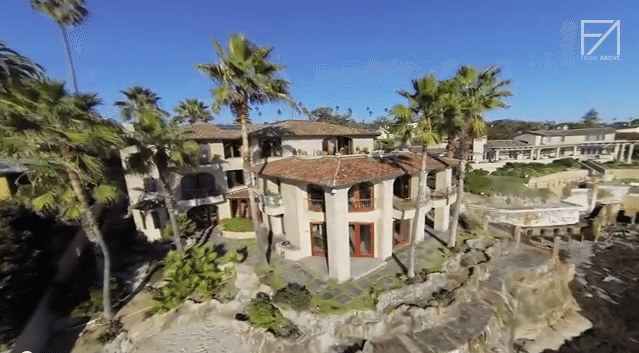 Real estate agents are using drones to take aerial video. The military has been using drones for the past decade. Like it or not, the drone revolution is coming. With the potential to become an estimated $82 billion industry by 2025, according to the Federal Aviation Administration (FAA), the topic is not something to take lightly. Considering the potential economic impact of the drone industry in the coming years, I find it hard to believe to government and FAA will ban the use of commercial drones. To note, paying someone to fly a drone is illegal right now, according to the FAA rules on commercial drone use. However, that does not seem to be stopping people from becoming an aerial photographer. Pretty soon there will be thousands of “new” aerial photographers across the country. The benefits drones provide in real estate are clear. Drones are essentially a camera tripod in the sky allowing real estate agents to capture virtually any shot they want from any angle and elevation. Combine that with a drone flying through the inside of the house, creating a whole new viewing experience for potential buyers and sellers. With this new technology there are several important things to know before you hire your next drone pilot. Just because you are able to find someone who has a drone with a GoPro mounted to it does not mean that he or she is particularly good at flying the drone. The last thing you need is a drone crashing into the neighbor’s house. Make sure you ask for a testimonial, see previous examples of their work, and ask if they carry general liability insurance. The risk is too high to hire a pilot without these qualifications. Even if the person you hire is a professional drone pilot, it does not mean that person is particularly good at editing video. To create a drone experience that wows, it is vital to ensure a professional edits the video. Video editing is an art, and it will be clear if the pilot chopped up the video and threw clips together. With the proliferation of real estate drone videos popping up, the bar for professionally edited video will only be set higher. Flying a drone around the outside of a listing is cool. Fly the same drone through the middle of the house — WOW! This is the most innovative virtual tour you can provide. A drone floating through different rooms of the house and straight out the door over the neighborhood is an experience worth talking about. This will make even the most mundane house look extraordinary. Will Caldwell is the CEO and co-founder at Rivolix, a mobile real estate tech company that helps Realtors generate more word-of-mouth leads. He is a passionate entrepreneur and recent college graduate living in San Diego.